The Psalmist uses an analogy to describe the righteous man. He is like a tree planted by streams of water that yield its fruit in its season, and its leaf does not wither. In all that he does, he prospers. In the culture of that day, a fruit-bearing tree had no chance of surviving the dry season without irrigation or transplantation. When the heavy drought set-in, the leaves would wither and the tree would begin to die. The only remedy during this difficult season was to transplant the tree near a refreshing water-source that would prevent it from withering and being rendered fruitless. 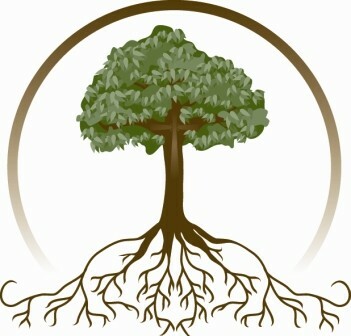 The righteous man is like a tree whose roots are connected to a all-satisfying water source that refreshes his soul and sustains his life. When the dry seasons of difficulty comes, this man will neither wither nor become fruitless. Not only will he be sustained, he will also flourish. He will flourish, because he daily draws life from the only source of true refreshment. In fact, he draws this refreshment both day and night. The man who meditates on the law of the Lord will be fruitful and his life will flourish. The fruit may not be immediate, but it will surely come in due time. The result of being connected to a supply of water cannot be overestimated. An intriguing illustration of this can be found in the satellite footage of the South Platte River basin of the western United States. Much of the land in that region is dry and shows little to no greenery. 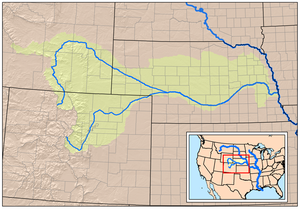 However, the basin that runs along the South Platte River is saturated with trees and shrubs. The satellite images are quite compelling. The righteous man is like a tree planted along streams of water. His leaves will not wither and his life will yield its fruit in season. Have you experienced God’s word to be refreshing to your soul? Do you look to God’s word to sustain your life and satisfy your deepest longings? Are you allowing it to bear fruit in your life? Is it where you primarily look for guidance, and by which you test all other things to see whether they are truly beneficial for your growth in godliness? Unlike the righteous man who prospers in all that he does, the wicked man is like chaff that the wind drives away. Nothing that he accomplishes will last. In the next post, we will consider how God judges the wicked by allowing them to perish in their sin. *This is the fourth of several posts on Psalm 1. Central Truth: God preserves the righteous, but the wicked shall perish. I. God blesses the way of the righteous. 1. He avoids ungodly advice: The righteous man is blessed, because he does not walk in the counsel of the wicked. This means that he does not listen to sinful advice or allow his thinking to be influenced by sinful men. It is fascinating to consider the vast number of things that influence our thinking, often without us even realizing it. Whether we know it or not, we are influenced by the books we read, the conversations we have, the television we watch, the internet we surf, the images we view, and the ideas that we absorb. None of these mediums are, in and of themselves, bad; however, they are often used as the vehicles through which the counsel of the wicked is delivered into our heads for the shaping of our hearts. Influences are never neutral. They either make us godly or they make us worldly. What has the greatest influence upon your thinking: the things of God or the things of the world? 2. He avoids ungodly behavior: The righteous man is blessed, because he does not stand in the way of sinners. This means that his behavior does not resemble the behavior of sinful men. The manifestations of his heart do not reflect rebellious ways. 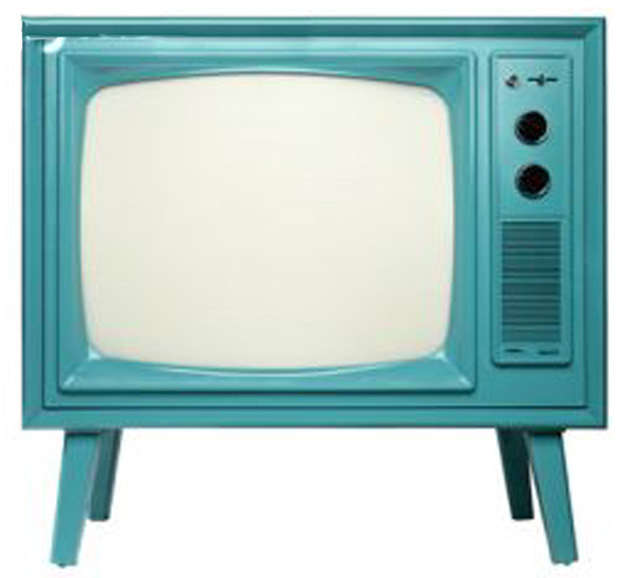 If your entire life was recorded on DVD and someone was to catch a glimpse of any given moment of your life, what would they see? Would your behavior in that random moment be reflective of godliness or worldliness? Would someone look at your behavior and comment on whether you are a righteous person or a wicked one? Our lives are all on camera, and God sees everything that we do in every moment of our lives. There are only two paths. We are either walking in the way of God or standing in the way of sinners. Does your behavior reflect a lifestyle of righteousness or more often resemble one of rebellion? 3. He avoids ungodly companions: The righteous man is blessed, because he does not sit in the seat of scoffers. This means that he does not gather together with those who express contempt for God. He neither mocks the things of God, nor holds company with those who do. “Scoffers, if not the most scandalous of sinners, are the farthest from repentance.”  The righteous man is not characterized by an unrepentant spirit, but recognizes that the righteous life is one of perpetual faith and repentance. The righteous man does not maintain relationships with those who exhibit hearts that are cold, calloused, and contemptuous toward the gracious God that he loves. This is not to suggest that he never befriends an unbeliever; it simply acknowledges that his closest companions are those who honor God and love His word. A Puritan pastor once said, “Let your choicest companions be those who have made Christ their chief companion.”  We often conform to the character of those individuals in whose company we spend most of our time. Our time should be most spent with those whose hearts recognize Christ as supreme. Are your closest companions those who have made Christ their chief companion? 4. He exercises godly devotion: The righteous man is blessed, because his delight is in the law of the Lord and on His law he meditates day and night. This is the key that unlocks the other three. Taking pleasure in the word of God enables the righteous man to avoid the pitfalls of the wicked. As he meditates on the ways of God, his heart and life are conformed to the character of God. Not only does he take delight in the things of God, he is also devoted to thinking often and deeply about them. Instead of taking the counsel of the wicked, he receives the counsel of the Lord. Instead of imitating the behavior of the wicked, he imitates the ways of God. Instead of expressing contempt for God, he joyfully contemplates Him and enjoys the company of others who do likewise. Meditation is best characterized as mental-chewing. A helpful illustration will be that of a cow. 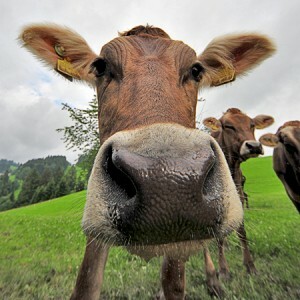 After a cow consumes grass, it will repeatedly chew this food until it is made ready for a thorough digestion. The first chewing moistens the food and allows it to be swallowed. Once swallowed it enters the stomach where chemicals soften it and then the stomach muscles regurgitate it up for a second chewing. This softened, half-chewed material is called cud. During the second-chewing, the food is further softened and made ready for digestion. As the cow digests the cud, the rich nutrients contained in the original grass become part of the animal and serve as a source of strength and sustenance. Meditating on the law of the Lord is a lot like chewing cud. The righteous man is not critical of Scripture. He enjoys consuming and repeatedly chewing on it. Digesting the truths of Scripture requires our minds to constantly mull over them so that the rich nutrients they contain become a part of our lives. The repeated chewing causes our hearts to soften so that we might receive the goodness that they have to offer. Once digested, these truths will have their full effect of transforming our lives and bearing the fruit of righteousness. Meditation requires two things: our delight in the things of God, and our devotion to thinking often and deeply about them. This is both practical and personal. As the Psalmist writes in Psalm 19, the law of the Lord is sweeter than honey. Let us digest it. Do you take delight in the things of God and think often and deeply about them? The righteous man is characterized by both discipline and devotion, and the fruit of this lifestyle is spiritual prosperity. He will flourish and be fruitful, just like that willow tree near the pond. *This is the third of several posts over Psalm one. Derek Kidner, Psalms 1-72 in The Tyndale Old Testament Commentaries (Downers Grove: Inter-Varsity Press, 1973), 47-48. Martin Luther, in the first of his 95 Theses nailed to the door at Wittenburg, wrote: “When our Lord and Master Jesus Christ said ‘Repent’ [Mark 1:15], he willed the entire life of believers to be one of repentance.” Martin Luther, “Ninety-Five Theses.” C.M. Jacobs, trans. Luther’s Works. Helmut T. Lehmann, gen. ed., vol. 31. (Philadelphia: Muhlenberg Press, 1957), 25-33. Psalm one is significant for a couple of reasons. First, this psalm serves as an introduction to the book of Psalms. The entire Psalter served as the hymnbook of God’s people, and provided them instruction on how to worship Him. Psalm 1 provides the first hint of that instruction. It reveals that God must be worshiped according to His word and in light of eternity. Second, this psalm vividly portrays two contrasting ways to live: the way of the righteous and the way of the wicked. This will be the primary focus of our study. Psalm 1 uses several images to distinguish between the steadfast life of the righteous and the coming peril of the wicked. Their ways of life are nearly as divergent as their destinies. Those who are faithful in this life will be preserved, but those who are unfaithful will ultimately perish. Those who walk with God now will live with Him for eternity, but expulsion and eternal torment await those who waste their present lives living for themselves in contempt for God. As we look more closely at our text, we will see a stunning portrait of two different people: the righteous and the wicked. The righteous person is blessed by God, whereas the wicked one is not. The righteous person is described as blessed, because his life is characterized by faithfulness. He is both disciplined and devoted. He is disciplined in his thinking, his behavior, and in the company he keeps; and he delights in the things of God and is devoted to them. His discipline is stated negatively in terms of what he avoids, and his devotion is stated positively in terms of what he pursues and takes pleasure in. God blesses this faithful man. *This is the second of several posts over Psalm one that will be forthcoming. Interestingly, Roman General Maximus Decimus Meridias confidently quipped in the thrilling blockbuster Gladiator (2000), “What we do in this life echoes in eternity.” Even the Hollywood depiction of pagan Rome recognized that what happens in this life carries consequences for eternity. Although their understanding of eternity does not line up with a biblical understanding. On my parents’ property there is a beautiful pond overlooked by a large willow tree. 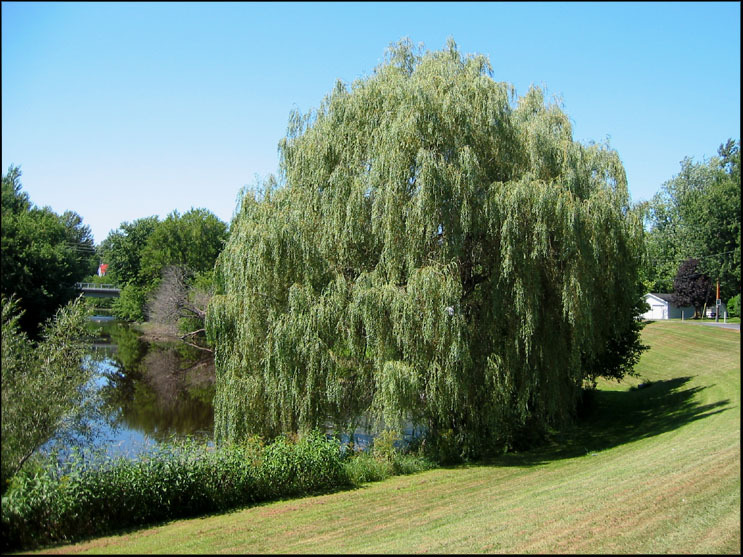 The willow tree is completely eye-catching. It stands triumphantly on the edge of the pond with its gorgeous branches kissing the ground. That beautiful tree standing center-stage is not very old. Few admirers would guess that a tree so large could be that young. I remember helping my father plant that tree a few years ago, and each year I have been amazed to look back on its exponential growth. The changes have been staggering. I believe the secret to that willow tree’s rapid growth and annual flourishing has been its excellent placement. The tree was planted less than ten yards from the water, and its roots wasted no time in finding the pond’s life-giving moisture. I often wonder whether that tree would have flourished so much had it been planted elsewhere—perhaps the middle of our yard where the pond was out of reach. I have often been fascinated by that tree, and marvel at how it stands as a fitting metaphor for life. People are a lot like trees. Some flourish while others fade. Some are fruitful and others fruitless. Each tree has the capacity to grow and live, but it also has the ability to wither and die. So, what makes the difference? The answer is obvious. A tree can only flourish when it has the nutrients that are necessary for its growth. In this way, the condition of the tree is a result of the elements to which it is exposed. It is shaped by the environment that surrounds it, and is affected by the resources that either nourish or suffocate its growth. Is your life like that willow tree at my parents’ pond? Are you experiencing exponential growth and flourishing for all to see? As we will see in our text today, our growth is completely dependent on where our roots find their sustenance and ultimate satisfaction. *This is the first of several posts over Psalm one that will be forthcoming. 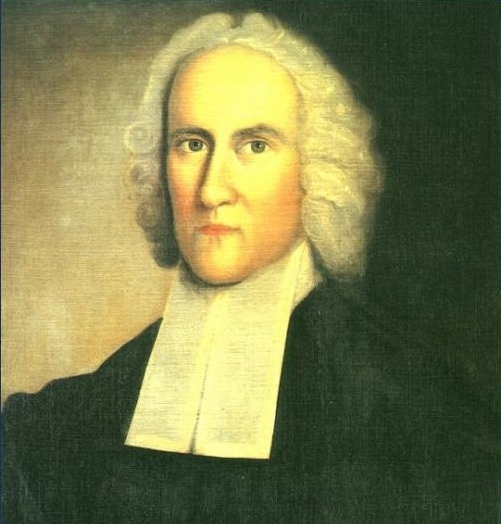 *The following paragraph was written by Tryon Edwards, a grandson of Jonathan Edwards, in his introduction to Charity and Its Fruits, which was a series of lectures given by Jonathan Edwards on the nature and manifestations of love. True or False Humility: Examine Yourself!! If tomorrow was your last day to live, then what might you spend it doing? How would it be different than the way you’ve spent today… or would it? Would you guard those thoughts more closely? Would you fret over that deadline at work or the stress of another class project? Would you make one more phone call to that friend or sibling? Would you hold your loved one close and share your heart with them one last time? Would you plead with an unbelieving family member to consider Christ? Would you tell your children how much you desire for them to love and serve Jesus? Would you set your mind on eternity or would you spend another day caught up with the cares of this world? Our days are numbered and our lives as we now know them are fleeting more quickly than we even realize. Today is the day to contemplate your last day. Where will you spend eternity? Have you put your faith in Christ and repented of your sin? If you haven’t, then what are you waiting for? You may never get another chance. If you have, then how will you leave this world? 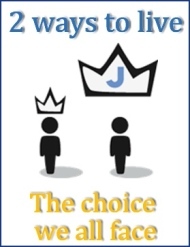 Will you leave it as one who stewarded your life well or will an examination of your life leave you with many regrets? Today might be your last day… You ought to spend some time thinking about eternity and in what condition you will leave that which has been entrusted to you. Today is your last day, as far as you know it. Live in light of eternity and Lord willing, you will learn to measure your days. Then you’ll live each day as if it was your last. May God remind us all to number our days so that we make each one of them count in light of eternity.